Today I want to show you the second of my new Image Stamps. 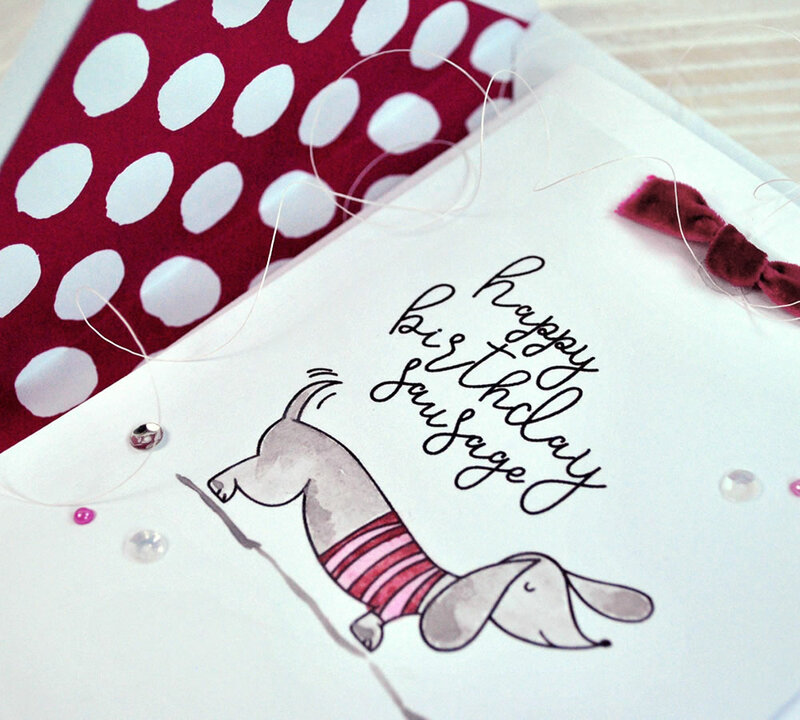 And it's the non-Christmas version of the 'Festive Dachshund' Images I shared in my last post. I've called them 'Silly Sausage'. - & without a sentiment too. - on a white background, ready for you to cut or punch out. You can find 'Silly Sausage' *here* in the Boutique. And I hope you like them! Patterned Paper: 'Painterly Dots' from The Colour Collection printed onto Smooth White Paper. 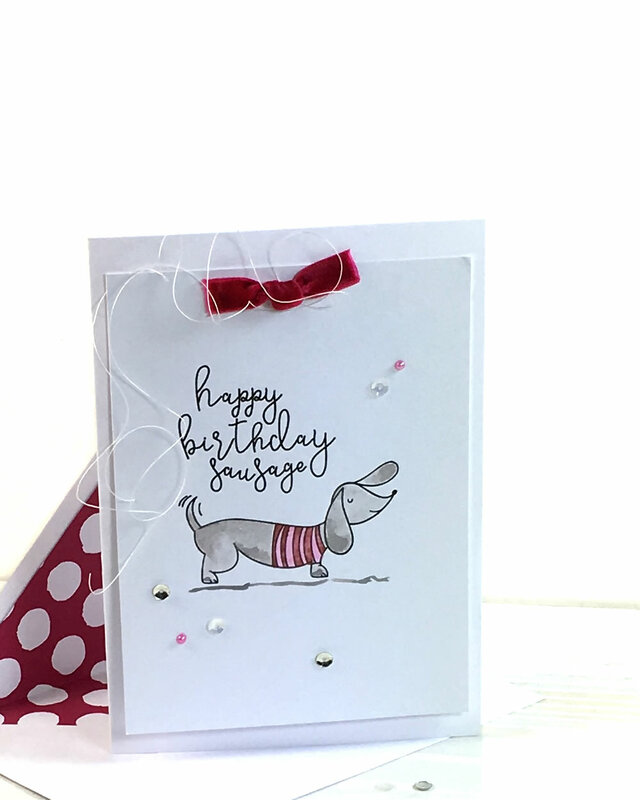 Images with Sentiments: 'Silly Sausage' Digital Image Stamps printed onto Smooth White Card & coloured lightly with Watercolour Paints. Velvet Ribbon, Cream Thread & a selection of small sequins & crystals.